Spin class has taken the country by storm over the past five years. The high-calorie-burning benefits are hard to beat. Plus, it’s fun. You’re in a room with fellow spinners, listening to dance music and burning calories. It doesn’t get much better than that. But are you getting all you can out of your spin class? Be sure you are following these rules to maximize your workout! Get your muscles warmed up before you get in the saddle. A short, light jog is a perfect way to prepare your body for spinning. Also, be sure to hydrate before, during and after class. Dehydration can ruin your entire workout by decreasing performance. And don’t forget about food. While you might think it is counterproductive to eat before a workout, the opposite is true. Your body needs to fuel to reach maximum productivity. Bananas, whole grain bread and Greek yogurt are great options to get your body prepped for class. The right cycling gear can maximize your workout. Padded shorts can relieve discomfort from sitting on the smaller seats for 45 minutes to an hour. Also, cycling shoes that clip into the pedals are a great investment. They give you more control and help you not only push the pedals but also pull them up. But don’t get sucked into the fancy features of some brands. Unless you’re biking inside and outside, the basic version will work perfectly. In addition to physical gear, technology is your friend when it comes to working out. When used in combination with a heart rate monitor like the TICKR X, apps like Wahoo’s RunFit, seamlessly track your workouts, whether you’re spinning, running or killing it on the elliptical. When standing next to your bike, the seat should be at the same height as your hip. Make the necessary adjustments then test it. If your leg isn’t slightly bent when extended downwards, your seat is too high. When both pedals are parallel, your knee should be directly above the center of the pedal. If your knees are out of place, push the seat forward or backward, depending on its position. It doesn’t matter what the person next to you is doing, the only competition going should be the one with yourself. You can never tell what athletic level your neighbor is at – believe us, we’ve seen some badass little old ladies – so make your ride about your own fitness level and what your body needs that day. Having too little resistance or not standing properly during runs or climbs can lead to a choppy, bouncy result. If you start bouncing up and down while seated, up the resistance. As for standing runs, hold your body in a steady position, focusing on pulling up and pushing down. For standing climbs, the resistance is heavier and you will need to change your body weight. When climbing, shift your body weight from one pedal to the other, creating almost a single leg squat. When the instructor tells you to add resistance, don’t just fake turning that little knob. Not only are you not fooling anyone, riding without resistance can put unnecessary stress on your joints, leading to injuries and discomfort. Plus, you’re exercising for a reason. Don’t waste your time by taking it too easy on yourself. Cadence isn’t just for runners. Spinners can also use the measurements from these metrics to maximize their workouts. A very low RPM could signify too much resistance is being used, and vice versa for a higher RPM. On average, you should shoot for around 80 to 90 RPMs for climbs. For seated or standing runs, your RPM should be between 90 and 110 RPM. 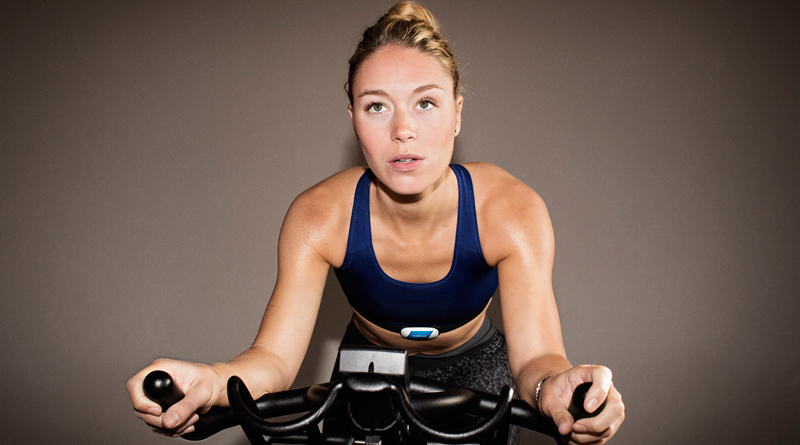 But cadence isn’t the only thing worth tracking during your spin workouts. Like running and other cardio-focused workouts, tracking and analyzing your heart rate is necessary to a successful and optimal spinning workout. TICKR X tracks your heart rate as well as your cycling cadence and provides you with real-time results. These tips will help you burn the most calories and get the most out of your workout. Do you have more tips? Leave them in the comments below. Great tips! The only thing I’d add is to not skip out on the stretches at the end of class. We’re all busy, but too often spinners hop out the door immediately after the work effort has ended without giving their muscles a chance to release and lengthen. We keep our hips flexed and hamstrings engaged to maintain proper form during class, and if we don’t stretch them afterward we risk injury and a shortening/tightening of our muscles. It only takes a few minutes to stretch, and doing so ensures that you come back to class with more power, strength and confidence. Stretching is super important too! Thank you for sharing!